Tornadoes can be hard to understand, but this easy tornado experiment should help you to see what is happening inside a deadly storm. This is is one of our easiest experiments yet and is a great way to see a tornado up close! 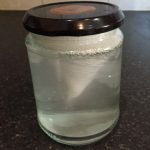 Use some household materials and make a tornado in a jar. Read on at the end to find out the science behind it. 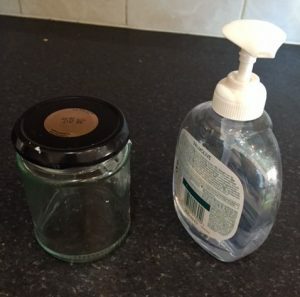 A jar – glass or plastic, as long as it is transparent! Fill your jar with water. Add a squirt of soap. Replace the lid – make sure it’s on tight! Shake the jar from side to side. Watch the little tornado form! 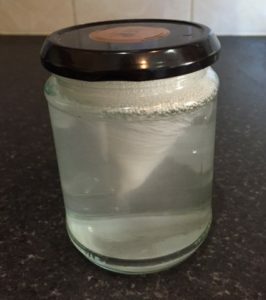 A tornado is described as a “funnel shaped cloud” and that’s what we can see inside the jar. When we shake the jar the water starts to spin, but the water on the outside starts to spin before the water on the inside. When we stop shaking the jar the water on the outside slows down first, which is why we can still see the water in the middle spinning. In a tornado, hot and cold air spin very quickly together and form a vortex, which is what we could see in the centre of the jar. 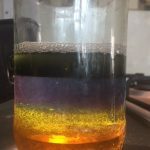 Make a tornado in a jar!